When I first picked up Light Years by Kass Morgan I wasn't sure whether I would even enjoy it. But I was quickly addicted to the story and now I'm desperately waiting for the next one. It is an excellent book and a gripping story. Hotshot pilot Vesper, an ambitious Tridian citizen, dreams of becoming a captain - but when she loses her spot to a brilliant, wisecracking boy from the wrong side of the asteroid belt, it makes her question everything she thought she knew. Growing up on the toxic planet Deva, Cormak will take any chance he can get to escape his dead-end life and join the Academy - even if he has to steal someone's identity to do it. Arran was always considered an outsider on icy Chetire, always dreaming of something more than a life working in the mines. Now an incoming cadet, Arran is looking for a place to belong - he just never thought that place would be in the arms of a Tridian boy. And Orelia is hiding a dark secret - she's infiltrated the Academy to complete a mission, one that threatens the security of everyone there. But if anyone finds out who she really is, it'll be her life on the line. 5 Words: TEAMWORK MAKES THE DREAM WORK. Actual 5 Words: Friendship, secrets, prejudice, subterfuge, space. This book was absolutely excellent. I'm not sure what I was expecting when I came into Light Years, I just knew that I was in the mood for a space book and this one was at hand, as it came in May's Illumicrate box. Now, I'm usually not a fan of space books. My sci-fi love leans toward dystopia. But oh my. This book. My favourite characters were Vesper and Orelia. Vesper because of how steadfast she was and how she wanted to challenge the prejudices of her society. Orelia because of her conflicted feelings and changing beliefs. 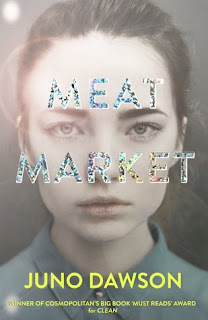 That's not to say that I didn't like the other characters - this book is something of an outlier in that I actually really liked all of the different narratives and characters. While it is not the most action packed space adventure, but the action does definitely pack a punch. I'm so glad that the story wasn't bogged down by training montages. Light Years is a boarding school book (one of my favourite things) with a difference. Rather than being about the school itself the story is driven by the characters and their relationships, and I loved it. That being said, there is one relationship that left me feeling a little squiffy. The characters had such amazing chemistry together, and even knowing the secret of one character that made it kind of a little OK, I felt it was still a huge barrier that they were crossing. The power imbalance just makes it the wrong side of acceptable for me. It reminded me of Sonea and Akkarin in the Black Magicia' Trilogy, which is another pairing with amazing chemistry that just doesn't sit right. I have Feelings, OK? Light years is packed with toxic relationships, poisonous parents, friendships, power struggles, changing societal dynamics. It has everything I love in a book and it has all come together wonderfully. This book feels rather incidentally diverse, and I absolutely loved that. None of it felt forced, it was all incredibly believable. After the ending of Light Years I am desperate for the next book. It's a definite cliff hanger! 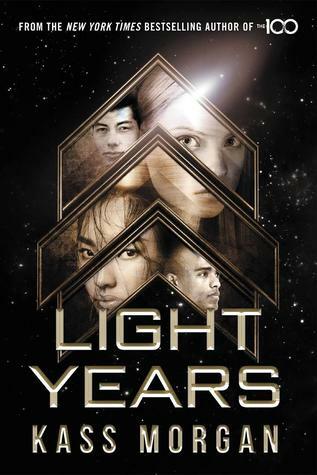 Will you be reading Light Years by Kass Morgan? Not the type of book I usually gravitate to, but this is 100% right up my husband's alley! I will definitely be sharing this with him! This sounds like an incredible book! It's not something I would normally go for, but I love trying different books and this one sounds so interesting! That is definitely to sort of book I could read! I love the plot and I think i'll enjoy the book! Never heard of that author though! This is a great review. Sounds like an interesting book too. I'll have to look out for it. Ooh I saw this crop up somewhere else as well. I've read her The 100 series but found the characters a touch too young for me to properly empathise with them (one of the rare occasions I prefer the tv show) but this sounds like a good read. Going to have to check it out - thanks! Hmm...this seems right up my alley. I wasn't too into the 100 though (I prefer the show) but I think I want to try this one. Awesome review! Thanks for putting this on my radar! I've got this one on my TBR. Really looking forward to it after your review!